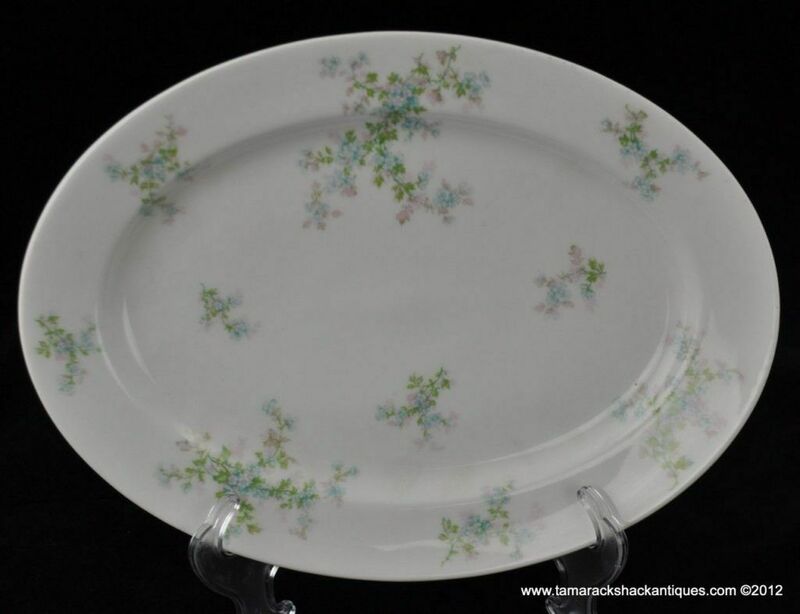 For your consideration is this Haviland Limoges platter. The mark dates this from 1894-1931, according to the “Collector’s Encyclopedia of Limoges” 3rd ed. It features a baby blue & pink floral pattern. The platter measures 13 7/8″ x 10 1/4″. There are no chips, cracks, fleabites or repairs. There is very little usage wear…it is in very impressive condition! I have other pieces to this pattern on my Ebay store.